Original Spyholes. From now on, you'll never ask people because they always look through yourpeephole quedrás. Now open the door of your house will become a new experience, or quedrás to photograph someone, or give you a perdigonazo, or see it from far or near. 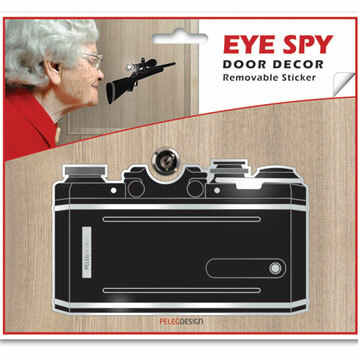 Customize the door of your home with these original peepholes. Available models: camera, rifle and telescope.